The new 1.5 inch bore large size volume Imploder is currently available for strong magnetic water treatment- without nozzle. 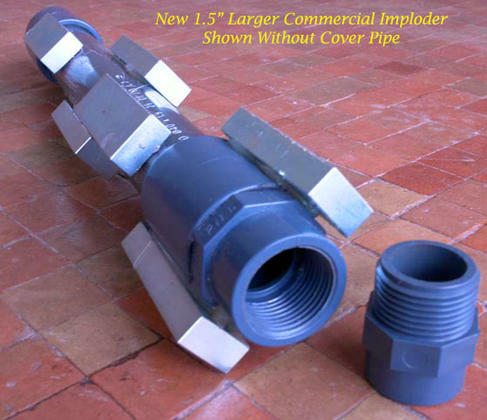 We have developed a preliminary design for the 1.5 inch bore- commercial (high volume) Imploder: It will begin as a magnet array on a larger bore pipe for high volume. This alone should reduce soap requirements , produce wetter aligned water, and reduce in pipe build up- with growth effect. with thanks to Alex Polo in Australia for his design genius.